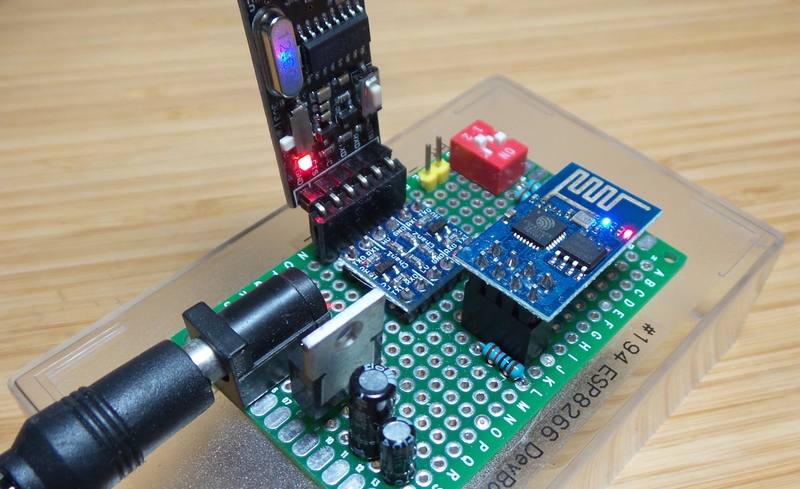 A quick test of the ESP8266 core for Arduino, which brings support for ESP8266 chip to the Arduino IDE. That means being able to write C++ sketches for the ESP8266 as easy as developing for an Arduino. Here I’m using the most basic ESP8266 board (an ESP-01) with a sketch that blinks Morse code on the built-in LED.